Google has taken a slightly controversial decision by beefing up the specs for a tablet device. 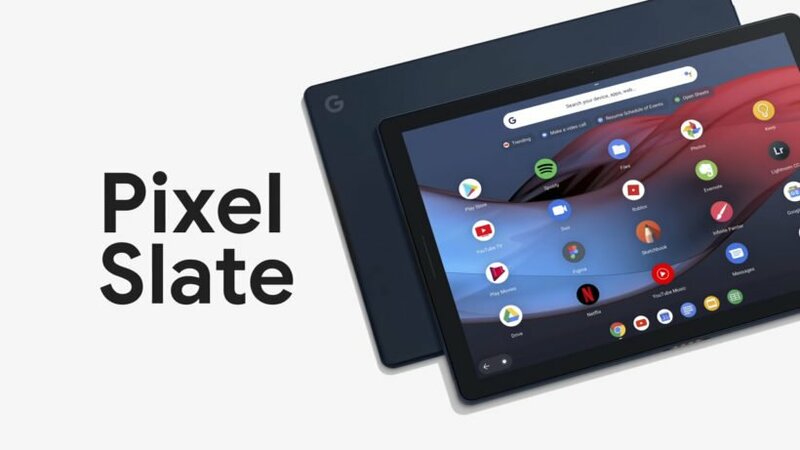 Google just announced the Pixel Slate to compete with Apple’s iPad Pro and Windows Surface Pro. The announcement was made during the annual Made by Google Event, where other Google hardware devices were announced such as Pixel 3, Pixel 3 XL and Google Hub etc. Google has taken a slightly controversial decision by beefing up the specs for a tablet device. The Silicon Giant has taken on the likes of Apple and Windows but instead of sticking to Android as its operating system, it has decided to use ChromeOS. Despite these gripes, it does seem to be capable of taking on the likes of Apple and Windows. Starting price of the Google Pixel Slate is $599 and goes upto $1,699 for the full speced-out version. But here’s the catch, one has to pay extra for a keyboard. As it will have an Intel processor, it is not a surprise how expensive this thing will cost. It is a weird time to live in since the line between tablet and laptop has been blurred. Pixel Slate faces the same problem, as it does not know where it belongs, a feeling that we have all experienced at least once in our life. This is a bold move on Google’s part as it is stepping into unknown territory looking for customers other than teachers, Google fans or old people. This means it is unsatisfied with its marketing for the previous line of Pixel C devices. The main focus, unsurprisingly, is the screen here. It is a 12.3-inch touch panel that has an impressive screen to body ratio. The resolution will be 2000 x 3000 pixels. The display technology will have a fancy name. Just like Apple has the retina display, Google has named its display technology “Molecular Display”. It is still an LCD panel but it will be more power efficient according to Google. The company claims it will provide up to 10 hours of battery life within each cycle. The screen provides remarkable viewing angles, great outdoor visibility, and crisp colors. The device feels very ergonomic and easy to hold, thanks to its soft curves and smooth edges. It weighs at 1.6 pounds and will have just one color option, “Midnight blue”. The color doesn’t feel too much different than one of Surface pro’s color options. Unfortunately, it picks up smudges rather easily. It has an 8 MP camera on the front and back, on paper this might seem like quite weak, but a lot of other factors affect image quality such as post-processing and light capturing etc. There are two USB-C ports, one on each side, which will allow both fast charging and 4K display output. It will have a fingerprint scanner but no SD card and no 3.5 mm jack which is quite a shame honestly. This isn’t the first time that Google has released its own tablet, and it certainly won’t be the last. On paper, the device seems quite a force, but it remains to be seen how well it is received by audiences. In my opinion, it’s a highly expensive device that is neither a tablet nor has the software capability to defeat a Windows laptop or a Mac. Let’s take the device for what it is, a glorified Chromebook. 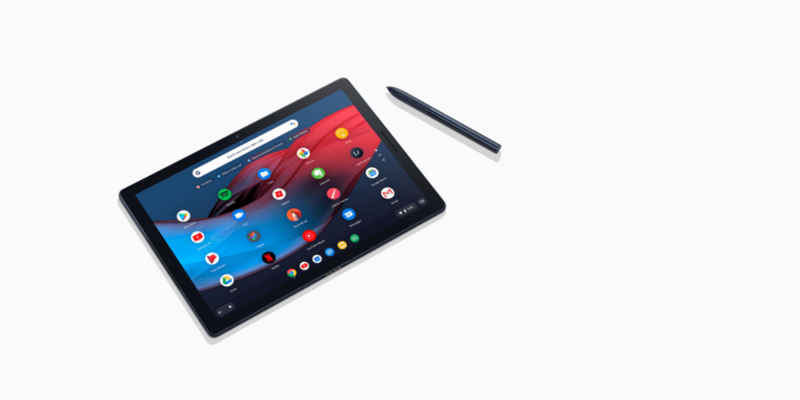 For $599, users will only be getting 32 GB of unexpandable storage, moreover if they want to make the most out of their Pixel Slate, they will have to cough up extra for a keyboard and a pen. This will take the base model to around an eye-watering figure of $900. Even the die-hard tech enthusiasts will be thinking twice before adding the Slate to their collection. The thing that puts me off about this thing, is Google is telling us they want to sell us a device that runs one OS (Chrome) but the compelling apps are going to be from another OS (Android). Meanwhile, Google is supposedly working on another OS (Fuchsia). If I’m going to invest big money in a device I want to know a big company is 100% behind where it is going, and I’m not convinced at all. As far as I see, Android is still where it is at (yes even in tablets. Contrary to popular talking points it far outsells iOS tablets). What exactly is Google offering us to back away from this? Not to mention that there is zero visible movement to make a ChromeOS phone. I want to run the same OS on all my devices if at all possible. Same apps, same user experience. Google, this looks like nice hardware, but your messaging has lost me entirely. Go away, and come back with a vision. Second you on that, really hope that Google comes up with something that’s worth the bucks.